Acne is a real downer. When you struggle with having clear skin, you’ll do just about anything to fix the problem. I thought my acne days were over so when I started struggling with breakouts, I began a skin care adventure. I have tried natural treatments like aloe vera gel and medicated product. My journey led me to Proactiv and I couldn’t have been more impressed. 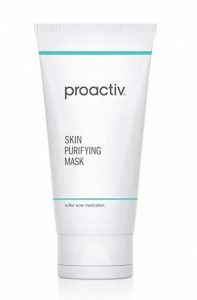 If you take a look at Proactiv Plus reviews, focused on the all-new advanced acne treatment from the makers of the original Proactiv, you’ll see that I’m not alone in my opinion. But because there are so many Proactiv products, let’s explore each of them to see which is best for you. Let’s get you on the road to clearer skin with the best acne treatment around! This Proactiv face wash helps to give your skin a deep cleanse while gently removing dead skin cells and buildup. Many Proactiv Plus reviews say that this product can cause the skin to become red and irritated. In my case, my skin was a little red for about a week, which is a normal reaction to the active ingredient, and then it really began to change. It became very smooth and soft and I could notice that my acne was beginning to change. It wasn’t completely gone yet but it wasn’t nearly as severe. This awesome skin mask helps to clear blemishes and prevent new ones from forming. It calms any irritation and reduces redness while also shrinking the appearance of pores and reducing excess oil and shine. It features some really great antioxidant protection that makes your skin seem to radiate. I personally loved how this mask seemed to really speed up the healing of any pimples that I had. It wasn’t too messy and really left my skin feeling smooth after each use. As my age begins to creep up on me, I’ve noticed a few dark spots on my face. I’ve been looking for something to reduce their appearance and this serum really seemed to make a difference. It’s a clear, gel-like formula that’s easy to spread on problem areas. It can be used to help fade freckles, liver spots and lighten scars from past acne breakouts. It also helps to calm and soothe skin, leaving behind younger looking skin. If you’re looking for the best acne treatment, a toner is a must. But not all toners are created equal. This toner is oil, fragrance and paraben free which is very important if your skin is prone to breakouts. It’s suitable for all skin types as well. I used this toner every night before bed and couldn’t believe how much dirt was left on the pad, even after washing my face. It just goes to show you how much dirt and grime our pores can hold on to. A little goes a long way with this toner so don’t let the price deter you. I love anything with green tea so I was really excited to give this moisturizer a try. You can apply it daily as needed and it features plenty of hydrating ingredients that help to nourish and soothe skin. It can be difficult to keep your skin moisturized when using acne products because they either don’t work or clog your pores, leading to more breakouts. But with this product, my skin was smooth and elastic even while fighting breakouts. This is a must for anyone suffering from dry skin and breakouts. This is one of the best Proactiv products. It’s effective, easy to use and even makes fighting acne fun! This little brush is designed to be used every day and helps to exfoliate skin, leaving it softer, smoother and more radiant. It cleans better than my hands ever could and really gets deep down into my pores. It feels like a spa treatment, all in the comfort of my own bathroom. Now I did notice that my skin got a little bit worse about a week after I started using the brush on a daily basis but I chalk that up to all of the bacteria finally coming to the surface after being trapped for so long. After a couple of weeks, my skin was smooth and absolutely stunning with the use of this brush. You can begin to develop acne when your pores become blocked. This can occur when there’s a buildup of oil, dead skin or bacteria. Your body is covered in pores which are essentially openings leading to a follicle. 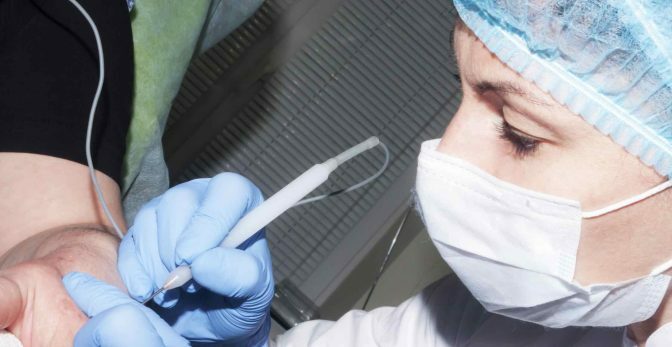 The follicle consists of a hair and a sebaceous gland, which produces oil. Your skin needs some oil to remain healthy but when your body produces too much, a pore can become blocked. The same happens if dead skin cells or bacteria build up in a pore. A blocked pore allows bacteria to grow. The oil is unable to escape and you develop a blackhead, whitehead or zit. Some people are more prone to developing acne than others. Here’s a quick list of risk factors that might lead to more breakouts. Poor Diet: If you snack on sugars and carbohydrates, your skin can begin to act up. Medications: Certain medications, like birth control pills, have been linked to higher levels of acne in those who take them. 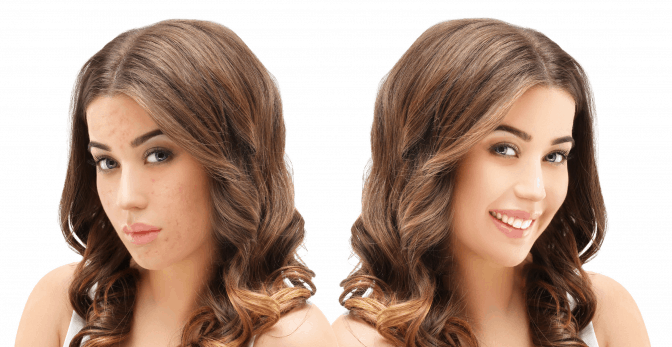 Hormones: Hormones can play a large role in the development of acne. Puberty and pregnancy both cause drastic fluctuations in hormones and acne is a common side effect. Genetics: If your parents suffered from acne, there’s a much higher risk that you will as well. Sometimes, acne is a bit of a mystery. Some people get the occasional breakout while others suffer for years. The same treatments don’t work for everyone either. But according to Proactiv Plus reviews, most people benefit from using the product. Does Proactiv Plus Products Work? Proactiv has been the top selling acne medication for well over a decade. It has a great reputation and plenty of faithful users. But does Proactiv Plus really do what you need it to do? I had wonderful results when adding Proactiv Plus to my beauty routine and believe it to be the best acne treatment I’ve ever tried. My skin was a little red and irritated in the beginning, but this is to be expected as your skin adjusts to the medication. My acne did get a bit worse at first, too. But again, this is to be expected. The active ingredients are cleaning out your pores and unblocking the follicles. It’s normal for things to get worse before they get better with any acne medication. If you stick it out past the first few weeks, you should begin to see a transformation. Your skin’s natural oil levels will begin to balance and the dryness should disappear. As your blocked pores are finally cleared, your skin will clear up and begin to glow. You’ll then be another member of the Proactiv fan club, agreeing with all of the positive Proactiv Plus reviews. It should only take you 20 minutes or less to add Proactiv products to your current skincare routine. Here’s how I used the product to get rid of my problem skin. Step 1: First, use the Skin Smoothing Exfoliator. Apply a small amount to your skin after splashing some water on it. Gently massage for a couple of minutes, taking care to avoid getting it in or too close to your eyes. Rinse with warm water and pat dry. Step 2: Follow with the Pore Targeting Treatment. Make sure that your skin is dry and apply 1 or 2 pumps of the product to your entire face. Let your skin soak it in. Once dry, move on to the final step. Step 3: Use your fingertips to apply the Complexion Perfecting Hydrator. This is a really important step, especially if you have sensitive skin. It helps keep your skin from becoming too red or irritated. Make sure that you always do all three steps. Skipping just one step will deem the other steps less effective. This Proactiv skin care routine should be completed twice daily in order to control and treat your acne. Stopping the treatment will leave your skin vulnerable to more breakouts. As I mentioned, there is a bit of an adjustment period when using Proactiv Plus. Before using the product, take a close look at your skin. Where are your main problem areas? Do you suffer more from blackheads or from large, painful zits? Do your breakouts remain consistent throughout the month or does it fluctuate? Take a picture so that you know exactly how your acne looked. As you begin using Proactiv, don’t be alarmed if your face becomes red, irritated or even if your breakouts intensify. This is all part of the adjustment period. Of course, if your skin becomes painful or the side effects seem extreme, stop using the product and speak with your dermatologist. After a month or so of consistent use, your skin should begin to clear and take on an entirely new appearance. It should be full of moisture but not oily. Your skin should be smooth, soft and clear. If you’re unsure if you’ve made progress, take a look at your before picture. See if you answer the previous questions the same way. This will help you realize how Proactiv Plus is working for you. One of the factors that make Proactiv Plus so effective is that each part of their three-step process has unique active ingredients that work together to fight acne quickly and effectively. 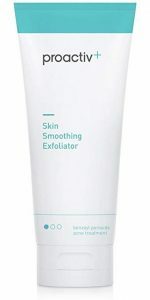 The Skin Smoothing Exfoliator lists benzoyl peroxide 2.5% as its active ingredient. Benzoyl peroxide tackles bacteria and is a common acne fighting ingredient. It’s also the reason that your skin might become red or irritated at the beginning of your treatment but rest assured that your skin should adjust in a week or so. The Pore Targeting Treatment also has benzoyl peroxide but features sweet almond oil as well. The fatty components of almond oil actually target your skin’s oil, helping to dissolve excess oil along with bacteria or dead skin cells that have been trapped by an overproduction of sebum. The Complexion Perfecting Hydrator features salicylic acid 0.5% as its main active ingredient. Salicylic acid speeds up the shedding of skin cells, helping to open pores and eliminate bacteria. It can also help pores appear smaller. These ingredients fight the main causes of acne by eliminating bacteria, regulating oil levels and preventing the buildup of dead skin cells. If you’ve used Proactiv in the past, you might be wondering how Proactiv Plus is different. Proactiv Plus is the result of over a decade of research and input from Proactiv users. Any issues or concerns that you might have had with Proactiv have been addressed and remedied through Proactiv Plus. Proactiv Plus is the only acne treatment on the market that features Smart Target Technology, a patented term from Proactiv. Proactiv Plus delivers 50% more of its effective medication with greater precision to each pore. In other words, Proactiv Plus gets more medicine to where you need it most, leading to faster and more effective acne treatment. Proactiv Plus was also designed to improve your skin overall, not just get rid of acne. It has ingredients that help to even skin tone, rid your face of excess oil, prevent redness and blotchiness, minimize the appearance of pores and give your skin an attractive and healthy glow. Overall, Proactiv Plus is truly the new and improved version of Proactiv. It’s the best of the best and has the reputation to keep it as the leading acne treatment for years to come. If you’re tired of breakouts and finally ready to clear your skin for good, Proactiv Plus is the perfect product to bring into your life and beauty routine. You’ll be loving your clear, smooth skin, all thanks to Proactiv Plus.